VISITORS to the Lake District can enjoy a cruise on Ullswater to discover the beauty of the region in springtime. The 'Steamers' Tweets and Bleats cruise, taking place on April 21, has been specially created in conjunction with the RSPB to ensure passengers get the chance to appreciate the abundant flora and fauna surrounding this beautiful lake, whilst providing the RSPB with an opportunity to raise funds for the work they do in the area. 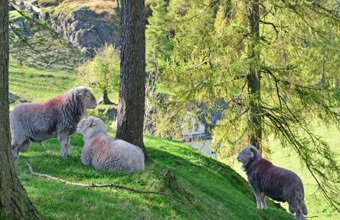 The cruise includes taking a look at the daffodils that inspired Wordsworth's famous poem and a tour around a traditional Lakeland farm to meet and feed the lambs, as well as getting behind the scenes to find out just how important the farming community is in the area surrounding Ullswater.